Come take your place on stage, the bright lights and applause are waiting for you! Each day in this camp begins with an energetic dance class, focusing on Classical Ballet and Musical Theater Jazz technique. We’ll be leaping and turning to everything from your favorite classical pieces to today’s contemporary show tunes! Campers will enjoy a healthy snack provided by Studio One Dance, followed by arts and craft time. During craft time, students will explore costume arts, and prop and set design. Camp ends each day with rehearsal for the end of the week performance. This camp is sure to make everyone feel like a STAR! Join us on a journey full of fun and fairy dust! 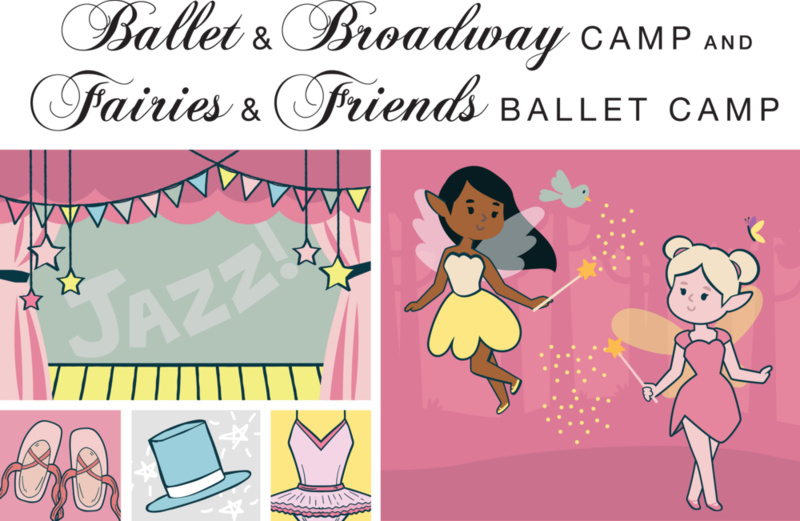 Dancers will start each morning with an exciting Ballet class, where their imaginations will take them flying and dancing above the treetops! Campers then enjoy a healthy snack, provided by Studio One Dance, followed by arts and craft time. During craft time, students explore life in the forest through stories, costume arts, and prop and set design. Camp ends each day with a movement activity and dance game. Every day in this camp is like a magical adventure into a fairy forest! To enroll for camp, please email info@studioone-dance.com to reserve your dancer’s spot today! Sign up for special announcements!